The first reports of this Group FaceTime bug popped up about a week ago, after a 14-year-old accidentally discovered it. Grant Thompson, the teen in question, was playing Fortnite, when he tried to FaceTime a friend. The friend didn’t pick up, so he swiped up, added another friend to the call, and realized he could hear his first friend with that person having answered the call. Thompson told his mom, and both of them say they tried to alert Apple to the glitch for ten days without ever getting a response. Apple finally addressed the bug when media outlets started reporting on it. Apple looks bad in this situation. For a company that’s been hammering home its commitment to privacy lately, such an invasive bug surely scares its users, and Apple’s handling of the situation after Thompson initially reported it probably doesn’t make them feel any better. 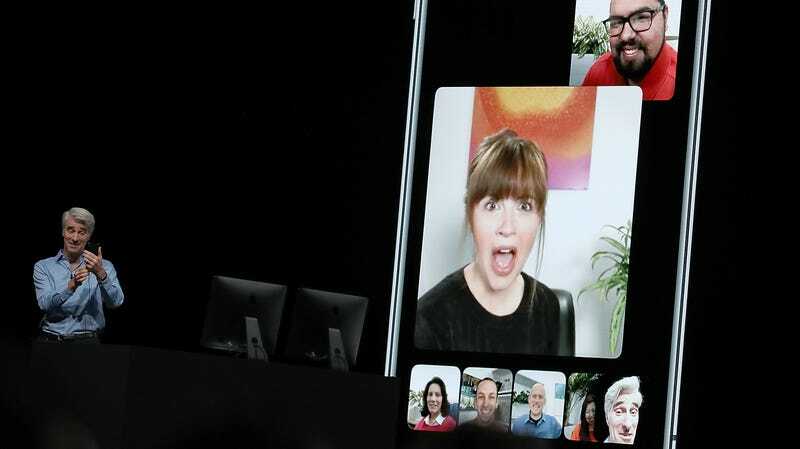 It’s also worth remembering that Apple delayed the release of Group FaceTime for months, which was supposed to be included in the initial release of iOS 12. And soon after news of last week’s bug was made public, Apple disabled the Group FaceTime as it worked on a fix. That fix has finally arrived, just a couple of days after lawmakers started to question Apple about the bug.